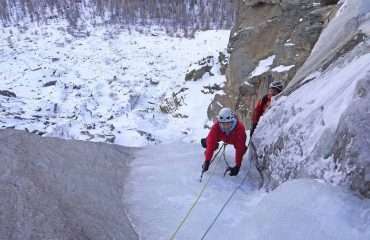 Hotel Based Cogne Ice Climbing Courses Weekend. 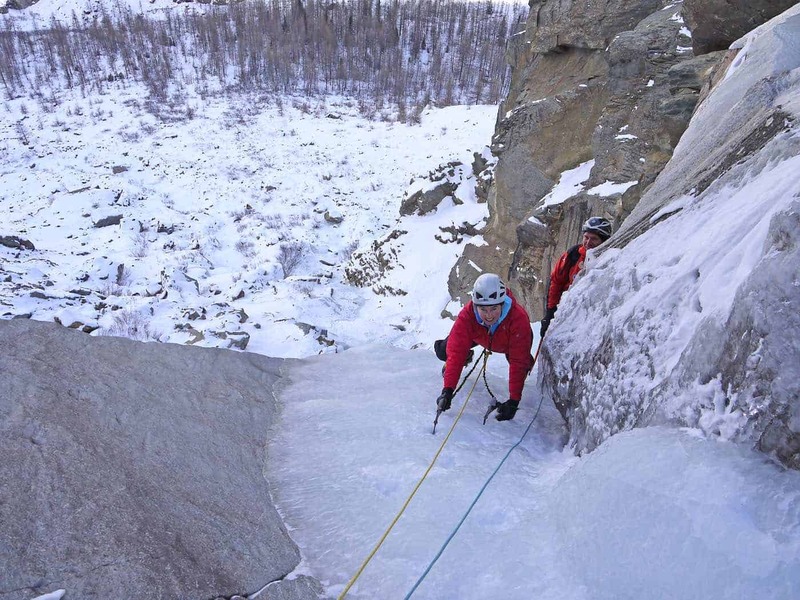 The Fast Track to Improving Your Ice Climbing Skills. Learn from & be Guided by the Professionals. 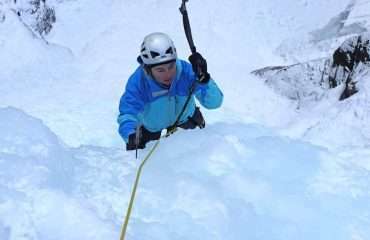 All about the Cogne Ice Climbing Course Weekend, 3 Days, Ice Climb, The Alps. 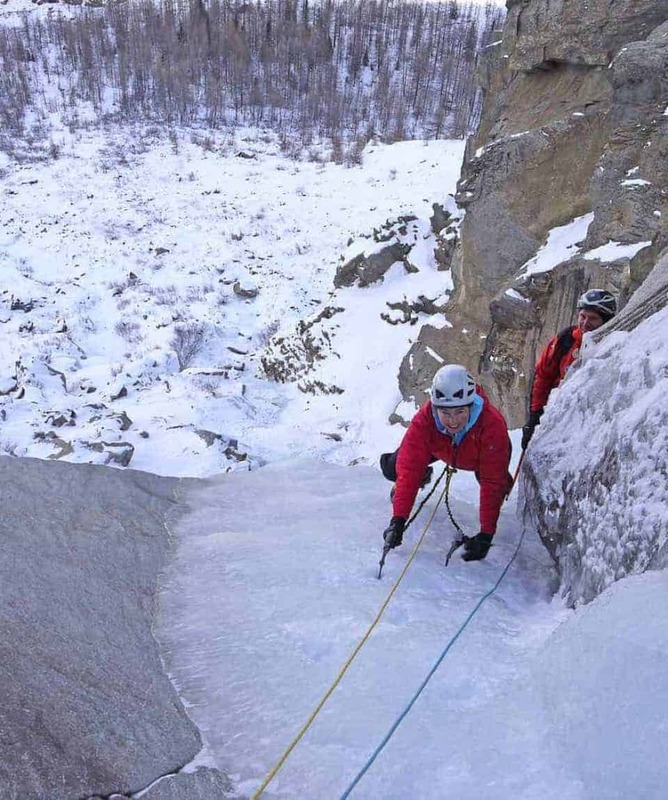 This Cogne Ice Climbing course provides an introduction to the exciting art of ice climbing on a 2-day weekend course. 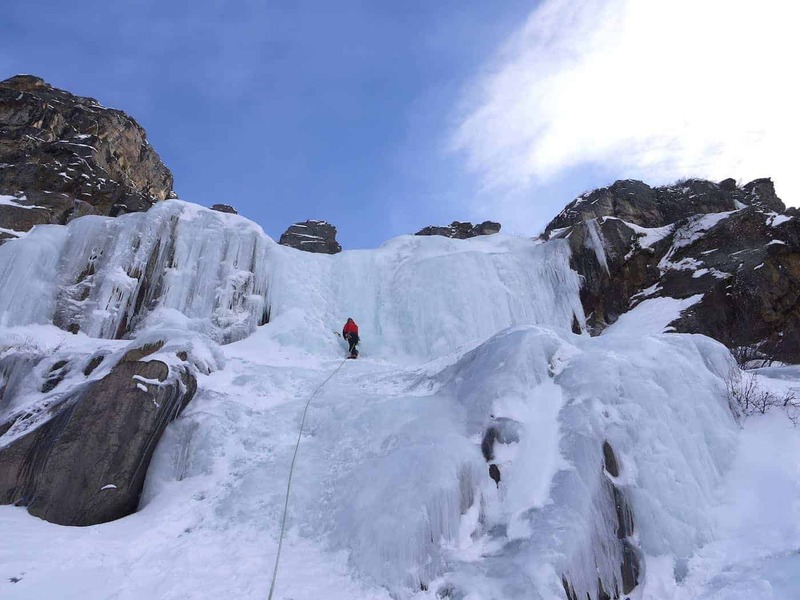 You can arrive Friday night into Chamonix, then travel through the Mont Blanc tunnel to Cogne, Italy to climb Saturday and Sunday on some outstanding introductory-level ice climbing areas! We have a choice of easily accessible venues with an array of absolutely classic routes at an appropriate grade. 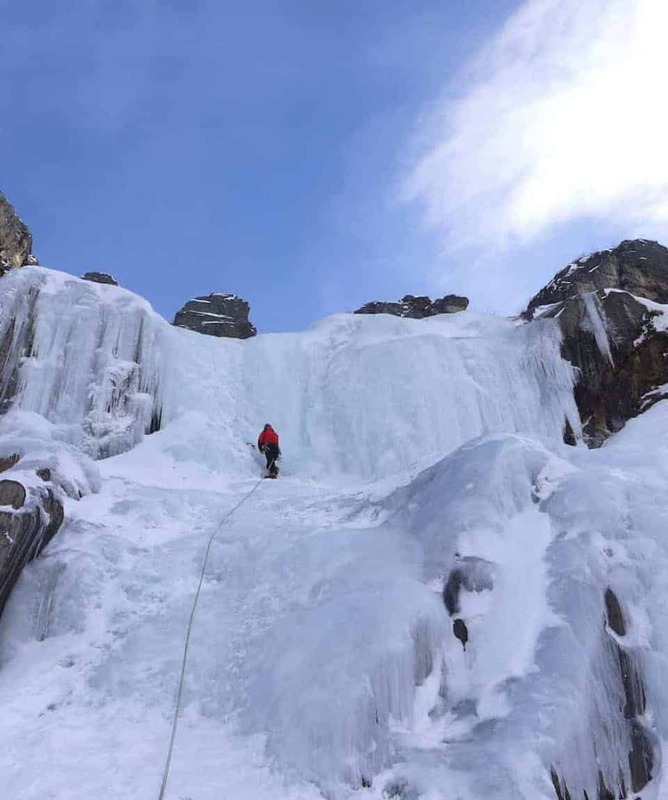 Following the initial period of ice climbing skill development, you will get to ascend a classic multi-pitch route as a finale to your weekend. 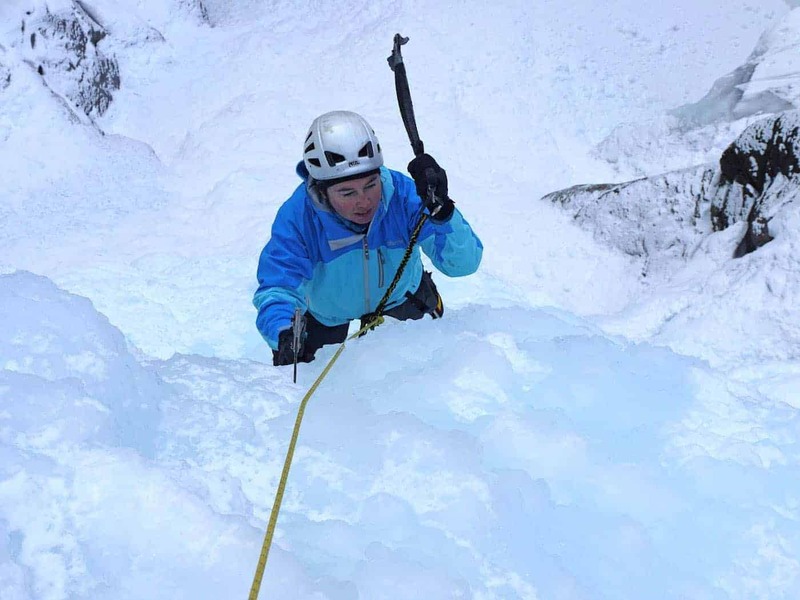 We operate the ice climbing course on a 1:1 or 1:2 ratio so you have the full attention of your guide so you can make the most of your weekend which is preferable to the large group approach as you get so much more achieved in your action-packed weekend. 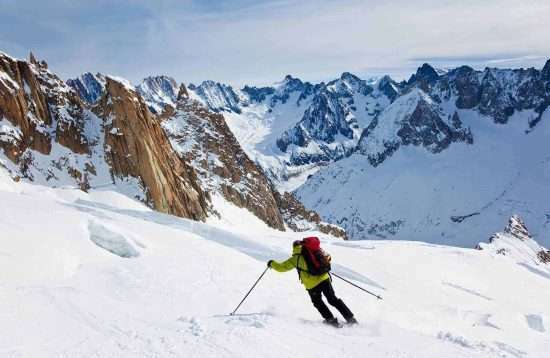 Accommodation is provided in a friendly family run hotels based in Chamonix and Cogne on a twin share basis, although we can upgrade you to single accommodation or a higher class of hotel should you prefer. During the evenings you can get out to enjoy the vibrant atmosphere and restaurants that make these areas the heartland of mountaineering culture in the Alps. Day 0. Friday Arrive into Chamonix. Hotel night. Day 1. Saturday Your guide will meet you at 8:00 am at the hotel for a briefing and to discuss the activities for the course. 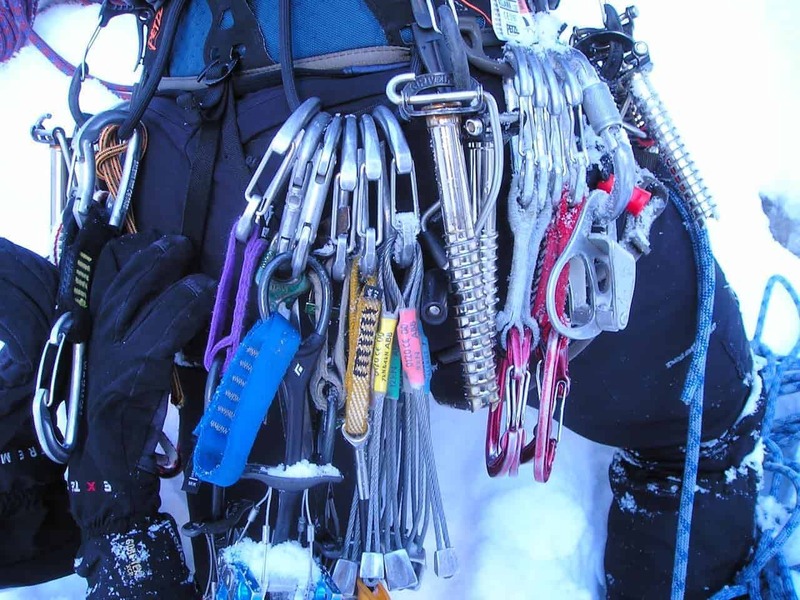 After organising your equipment hire and climbing gear, we drive through the Mont Blanc Tunnel to Italy to climb classic routes in the Cogne Valley. 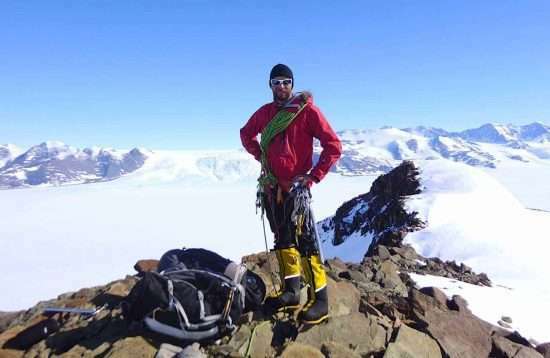 There are several great routes here from easy to hard, so it is a perfect place to try out new techniques and get to know how well the ice tools work. Cogne hotel night. Day 2. Sunday Climb in the Cogne Valley before returning to Chamonix for a debrief with your guide before departing for home in the evening. 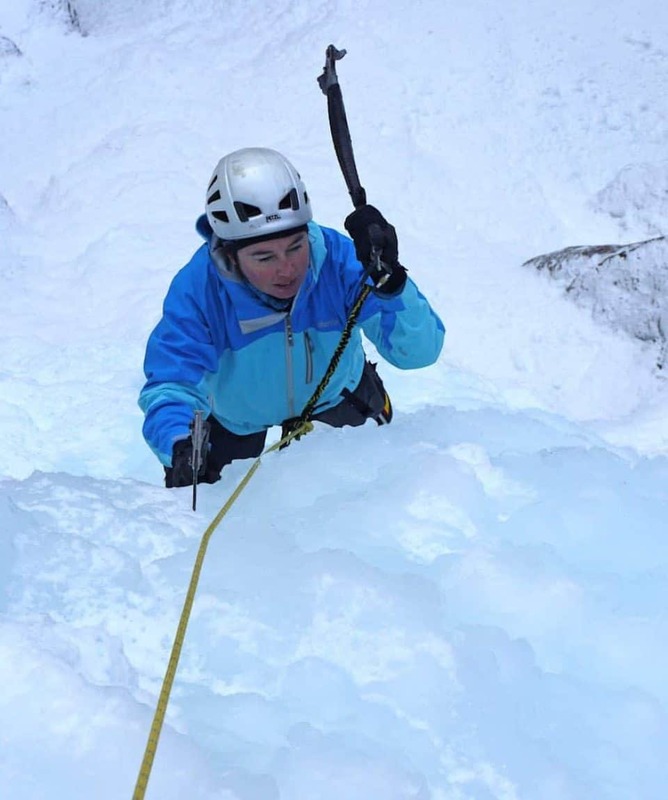 Please note: You can book the Cogne Ice Climbing Course Weekend as a 2-day course on any days during January/February if the weekend dates do not suit. You can add extra days onto the course to extend the adventure for one or more days using our add-on day rate. Breakfast and lunch during the course, dinner while in Cogne. Arrive into Chamonix. Hotel night. Your guide will meet you at 8:00am at the hotel for a briefing and to discuss the activities for the course. 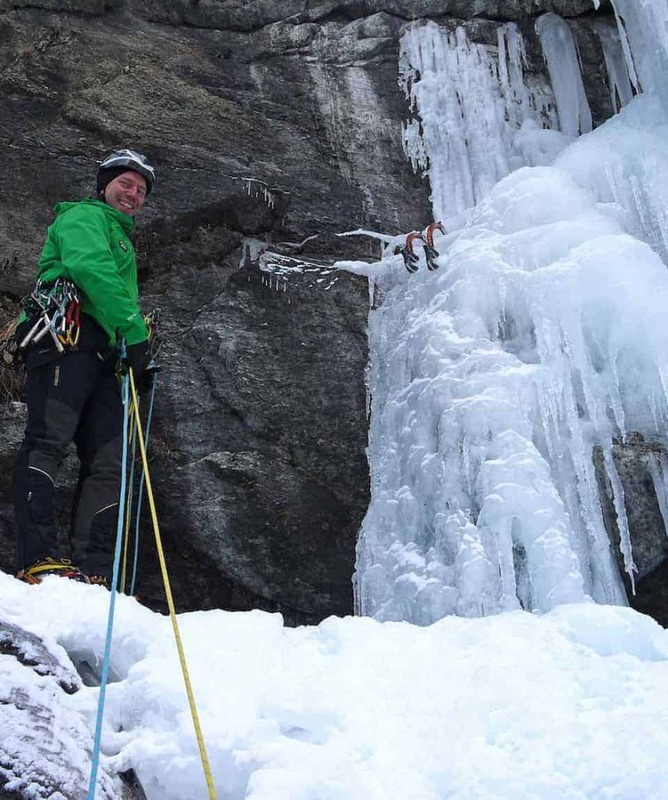 After organising your equipment hire and climbing gear, we drive through the Mont Blanc tunnel to Italy and pent the day climbing in the Cogne Valley. 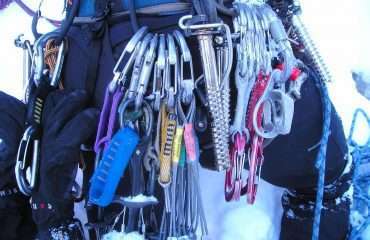 There are several great routes here from easy to hard so it is a perfect place to try out new techniques, and get to know how well the ice tools work. Cogne hotel night. We spend the day climbing in the Cogne Valley before returning to Chamonix for a de-brief with your guide and departing for home in the evening. Please note: We can arrange an additional hotel night, if you wish to depart the following morning or you can add extra days onto the course to extend the adventure for one or more days using our add-on day rate. This must be arranged at time of booking as accommodation and our cadre of personable guides are in demand through the season. 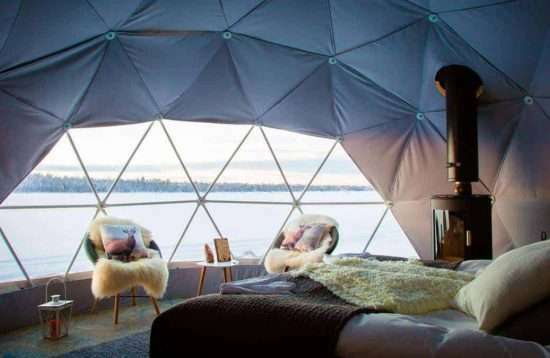 Itinerary may change if conditions are more suitable in another region or factors such as weather to lift service precludes access into this region. If this option was to incur additional costs your guide will discuss the options with you prior to any commitment being made. 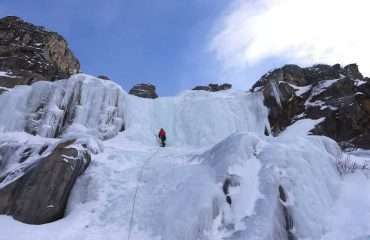 We commence and finish our Cogne 2 Day Ice Climbing Weekend in Chamonix, France. The closest international airport is at Geneva, just over the border in Switzerland. Regular shuttles operate up to Chamonix and the trip takes about 1.5 hours. We can help you arrange shuttle transport and your shuttle driver will drop you at our accommodation. At the completion of the course the shuttle can take you back to the airport. The shuttle transfers are at your own cost. 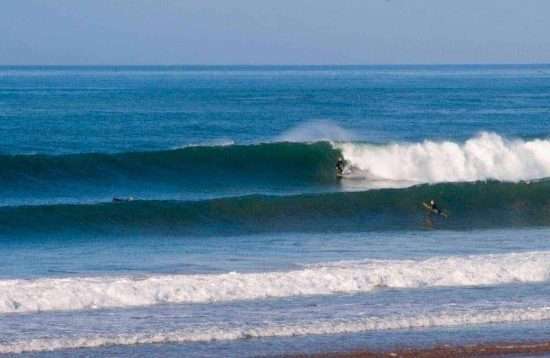 Accommodation is provided on a twin share basis from Friday evening through to the following Sunday morning after breakfast. The 2-3 star Hotel B&Bs we utilise are clean and comfortable and include breakfast and an evening meal for the night in Cogne. If you want single accommodation or 6 a higher standard of accommodation, we can arrange this for you should you wish. Please enquire about options and costs at the time of booking. You will be provided breakfasts and packed lunches for the duration of the trip, and an evening meal on the night in Cogne. You will be responsible for and required to pay for your own evening meals in Chamonix. This allows you to experience the exciting culinary options available in the area, as there are many restaurants and bars within close walking distance that provide a variety of foods to suit your tastes. You can also elect to eat at the hotel which provides wholesome meals. Should the group decide to take a restaurant lunch that is not in the programme, this will be at your own expense. Any additional food, beverages or meals you purchase that are not mentioned in the inclusions will also be at your own expense. You may want to bring a small selection of your favourite snack food and hydration drinks with you to ensure you are fuelled by your preferred brands. Actual amounts depend on your consumption but two bars/snacks per day in addition to the lunches we provide would seem reasonable. 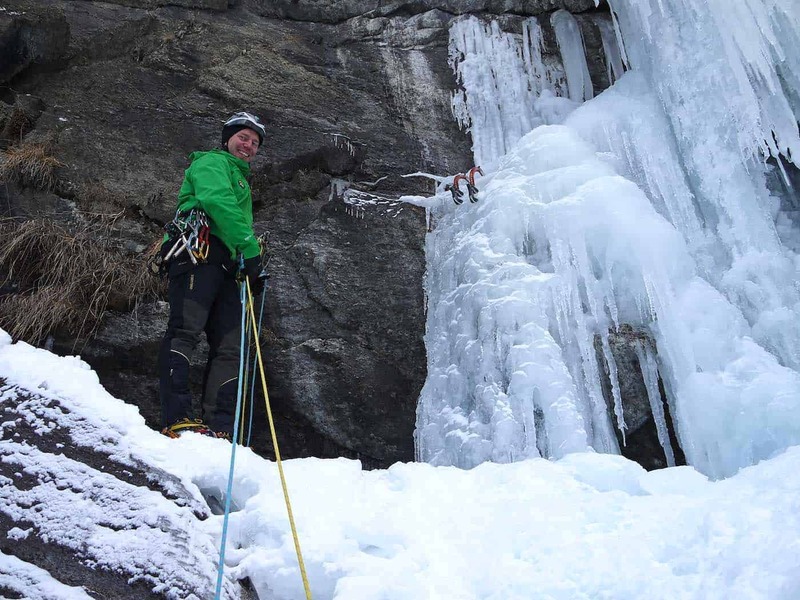 We commence and finish our Cogne Ice Climbing Weekend in Chamonix, France. The closest international airport is in Geneva, just over the border in Switzerland. Regular shuttles operate up to Chamonix and the trip takes about 1.5 hours. We can help you arrange shuttle transport and your shuttle driver will drop you at our accommodation. At the completion of the course, the shuttle can take you back to the airport. The shuttle transfers are at your own cost. Breakfast and a packed lunch during the course, and an evening meal while staying in Cogne. programme due to weather or organisational changes. Evening meals and drinks during hotel night in Chamonix. To make the most of your climbing experience, we encourage you to work on your fitness prior to the trip. For general mountain fitness, you will find that training on hills with a 10kg + pack on is the best preparation for the mountains, with the aim of building your endurance. 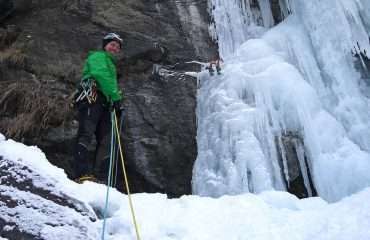 Ice climbing does require an amount of upper body fitness so time at the rock gym will help get you honed for the ice. Your guide will be attuned to your fitness levels and will select appropriate routes for your ability. Our registration form requests that you advise us of any medical problems you may have and if you are on any medication. Any information you supply will be treated as confidential.